Former Minister Yosef Shapira, one of the leaders of the NRP and long-time activist of the Bnei Akiva, died on Saturday at the age of 87. 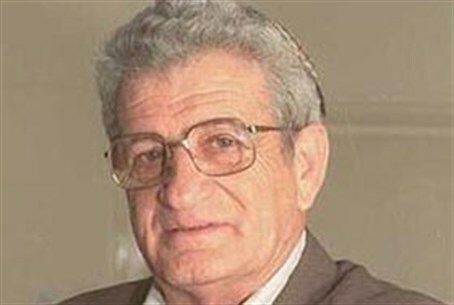 Former Minister Yosef Shapira, one of the leaders of the National Religious Party (NRP) and a long-time activist of the Bnei Akiva youth movement, died on Saturday at the age of 87. Shapira was born in Jerusalem and later resided in Kibbutz Ein Tzurim in Gush Etzion. He was one of the founders of the World Bnei Akiva movement and headed its secretariat for over two decades. He also served as head of the youth and aliyah department at the Jewish Agency and, in this capacity, started high school programs for young Jews from the Diaspora, aimed at promoting and absorbing young Jewish leaders. Shapira, along with Rabbi Haim Druckman and several others, was one of the founders of the Religious Zionist Camp, a political party which split off from the NRP after the elections to the tenth Knesset in 1981, in which the NRP lost half of its power, going down to six seats from 12 in the ninth Knesset. The Religious Zionist Camp ended up running in the 1984 elections in a joint list with another national religious party by the name of Morasha, winning two seats. Though he was not a Knesset member, Shapira served after these elections as a Minister Without Portfolio in a national unity government headed for two years by Shimon Peres and then by Yitzchak Shamir. Morasha ended up integrating back into the NRP. Housing Minister Uri Ariel of the Jewish Home party (the successor to the NRP), who served as Shapira’s assistant in charge of affairs related to the settlement enterprise, eulogized him.